Getting a cheap car insurance quote can be something of a challenge and – even if you manage it one year – you may have a nasty shock at renewal time if your premium has shot up. There can be any number of reasons for this happening; your provider’s criteria may have changed; the insurer could have removed a new customer discount; perhaps you’ve made a claim or had a motoring offence in the last year; maybe you’ve moved to a higher-risk address or added a motorist with a poor driving record onto your policy. It remains true, though, that one of the biggest cash drains on consumers is the price hikes associated with auto-renewal of insurance – when a customer gets out of the habit of shopping around, insurers typically take advantage and inflate renewal premiums. We all like a little extra money in our pocket, so try our top tips for lowering your car premium. Limit the number of miles you drive each year and give an accurate estimation of that mileage when shopping for your quote. Paying monthly can be convenient and/or all you can afford, but in the long term it’s almost always more expensive than paying for your insurance up front with one lump sum. The savings to be made by paying in one go can be so significant that, if you can’t afford it, it’s worth considering other options such as paying on a 0% credit card – just make sure you can pay off the balance on the card before the interest-free period ends. If you improve your vehicle’s security you may be rewarded with a lower quote, although you should check whether your insurer will acknowledge the extra security and consider whether the investment outweighs the saving. Think about devices such as alarms, immobilisers and wheel-locking nuts. Choosing a higher voluntary excess when you take out your policy should reduce the price of your insurance policy. Remember, though, that if you make a claim you may have to pay that excess before the garage will give you your car back. Insurers usually reward motorists who are claim free by reducing their premium, so building up your no claims bonus discount could really help you to get a cheaper policy. As with any packaged product, make sure that you need the added extras you’re buying, that they’re suitable for your needs and that you don’t already have sufficient cover from another source. One of the most common and confusing areas is when breakdown cover is coupled with car insurance and by making the right choice with this you could potentially save significant money – find out more in our article on packaged breakdown cover. If you have an older car which isn’t worth very much, it may be worth considering a third party, fire and theft policy rather than comprehensive cover to save some money. But remember that third party-based products may not offer the cover level you need and they’re not always cheaper than comprehensive options. Wherever possible, park your car in a secure garage overnight or on a driveway. Parking off the road could lower the chance of your car being vandalised or stolen. Read more in overnight parking and car insurance. Putting an additional driver on your policy can have a significant impact on premiums. One may not make much difference and will often even – depending on the circumstances – lower your quote, but adding multiple drivers may well lead to increased cost. If you can, avoid having anyone under 25 on your insurance as the younger a driver is, generally the more expensive your policy will be. 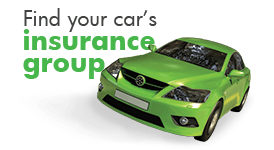 Cars which have a small engine, for example a 1.1 litre, are more likely to be in a low insurance groupso tend to have lower premiums. Road tax on a smaller-engined vehicle should also be cheaper. Every insurer will treat every sort of vehicle differently, but find the right combination and you could benefit. For example, some classic cars can be very affordable to cover as insurers recognise the love that owners put into them and you may find a discount through an owners’ club. Modifications – whether they’re upgrades to styling, audio or performance – may look good, but they could mean a big hike in the price of your insurance. Adding alloy wheels, body kits and performance upgrades to your vehicle could make it a lot more attractive to car thieves. Modified motors also tend to be more expensive to fix than ordinary cars. Courses such as Pass Plus and IAM involve an up-front fee but have then traditionally been seen as a way to cut premiums in the longer term, especially for young and inexperienced drivers. You should note that not all comparison sites or insurers will take such courses into account and that savings may not outweigh the course fee, but there are numerous other benefits associated with improving your driving skills. Read more in our article on advanced driving courses. and about the level of business use (if any) that you require. If, for example, you don’t commute, you may be able to find a cheaper policy, while a ‘chef’ may pay a different premium to a ‘cook’… but always make sure you’re honest when giving your details to an insurer or you risk invalidating your policy. Telematics car insurance bases premiums on actual data about your driving, which is recorded by either a black box fitted in the vehicle or a mobile phone app. The black box option has the added bonus of acting as a tracker should your car get stolen. 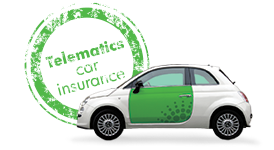 Telematics insurance is generally felt to benefit safe young drivers who are struggling to find affordable quotes, but it’s of potential benefit to drivers of any age and can be compared alongside more traditional policies in our car insurance quote process. Administration charges are one of the great hidden expenses on car insurance and it’s all too easy to ignore their details when arranging cover. If, for example, you change your car, your job or your address in the course of the policy, some policies may allow you to make the change for free, others may charge, perhaps, £50. When you arrange cover it’s worth looking at these charges – paying £5 or £10 more for insurance with reasonable administrative fees may save you much more in the course of the policy. This can be time consuming, can limit the comparison against other providers and may restrict the times when you can search for your insurance. But your queries may be answered straight away, you can haggle and it may be a way to find cover for specialist vehicles or circumstances. This allows you to get a quote in your own time, but this again can be a time-consuming option and one that limits the comparison against other insurers. Note that some insurers such as Aviva and Direct Line do not feature on comparison sites. Also, a genuine comparison of multi-car policies can only be found by going to each individual company offering such deals – but multi-car policies are not necessarily cheaper than arranging cover for vehicles individually. Brokers will compare a number of different insurance companies on your behalf and this can be a way of finding cover for specialist vehicles or circumstances. Convenience can be a downside to using a broker and remember that your search will be limited to those insurance companies the broker deals with.